The composition of your bag plays a heavy role in the score you shoot. You know your game and the shots you hit to get the ball around the course. The clubs you put in your bag are the ones you hit those shots with. Clubs that are meant for shots you don’t hit, get left out. Look in anyone’s bag and that’s what you’d find. Woods were sold as a set, and the set was 1,2,3,4. Smart players would swap out their 2-wood for a sand wedge. That was about the only decision you had to make. Times have changed. Higher-numbered fairway woods are no longer just for the ladies. Raymond Floyd won the Masters in 1976 by trading his 2-iron for a 5-wood so he could float the ball onto the green on the par 5s. Everybody noticed. Tom Kite started playing with three wedges instead of two and became the tour’s leading money winner. Everybody noticed that, too. And then came hybrid irons. So let’s refine the club selection rule. To score, you have to get the ball up to the green as quickly as you can. From there you have to get the ball into the hole as quickly as you can. The clubs you put in your bag are the ones that let you perform both tasks the best and the easiest. From the tees I play (6,400 yards or less) I can reach all the par 4s in two, but none of the par 5s. There’s no need for me to load up on the long end. Once I get up to the green, I want to get down in two strokes more often than not. That might just mean two putts, but more often it means a chip and a putt. I want to find a way to make those chips and putts as easy to get as I can, because I set up more pars from greenside than from 160 yards. So, I apply the Iron Rule to the short game: vary your distances by using one swing and differently-lofted clubs. This is how we play from the fairway. Around the green we can use one swing and differently-lofted wedges to get the ball close from varying distances. You get more predictable results from one swing with different clubs than from different swings with one club. Now I can still hit a 5-iron, but it’s an effort, and the 4-iron, too, but it’s a real effort. So out they went and in came the hybrids. No fairway wood. Haven’t missed it in three years. Yes, there is a sense of loss when you know you’ll never see that solidly hit 5-iron arcing through the sky toward the flag again. But when you hit the same shot more easily and more often with a hybrid iron, you get over it in a hurry. Four wedges? You would not believe how close I can get the ball to the hole by having the right club in my hand, and I don’t spend days at the range practicing. I’m not finished, though. I’m looking at a 64-degree wedge, because sometimes I have to ease up with my lob wedge. That would mean taking out a hybrid. All I would do is look at the length of the longest par-3 holes on the course I would be playing that day and leave out the 2 or 3 that I wouldn’t need. Never forget that golf is about getting the ball in the hole in as few strokes as possible. There’s nothing in the rules that says you can’t make that as easy as possible, too. I played in our men’s club tournament this weekend, and played pretty well — shot my handicap, which, considering that is in the top 5 of my last 20 scores, is a good day on the course. The two things that worked were driving and putting. I put the ball in the fairway, and didn’t miss any putts. Do those two things well, my friend, and you will score. People say you only learn from your mistakes. Nonsense. The only thing I ever learned from a mistake is not to do that again. Didn’t learn a thing about what to do. So when I make a mistake on the golf course, I come home and start the search for a better way. When I do something right on the course, I come home and practice it over and over so I won’t forget. 1. Full swing, ball on the tee: think square face, center hit. That’s one thing, not two. 2. Full swing, ball on the ground: think ball first, ground second. Again, that’s one thing, not two. 3. Short game: (a) start with your weight on the left side and do not let one ounce of it shift right, (b) never let your right hand pass the left. 4. Putting: hit the ball on the sweet spot. 5. Course management: hit a shot, within your capabilities, to the spot from where you have the easiest setup for getting the ball into the hole in the fewest amount of strokes. If you follow those rules you will revolutionize your shot-making and scoring. Ridiculous penalty: stroke and distance for a ball out of bounds or lost. Should be distance only. Ridiculous rule: players must sign for their score for it to be official. A player’s score should be officially recorded on the spot by a scorer assigned to the group, and that would be that. The more hybrid irons you have in your bag, the easier golf is. Leave your ego at home. Is it just my imagination, or has the steam run out of professional golf? By that, I mean has the Tour stopped being a tour and become instead a series of exhibitions held between major tournaments? Long ago, when the tournament players came to your town, everybody was there. They had to be. Prize money was pretty low, so you had to play to make a living. Remember those golf shows, like All-Star Golf, Challenge Golf, and Big Three Golf? The prize money for winning one of those shows was $3,000 and the loser got $1,000. When you consider that winning a tournament in those days (early 1960s) was worth from $3-5,000, those shows were a big deal. All the big names played in them. All the big names came to your town, too. The tour meant something because each tour stop meant something to the players. Now, I ‘m not so sure. Jack Nicklaus won all those majors, and that was his personal quest, but since he was in a class by himself, no one thought how many majors you won should define anyone except him. How could it? Who else could try to win that many? So the week-in, week-out tour was still a Big Deal. Then Tiger Woods came along and took up the challenge. The press responded in spades. Features stories were about Tiger winning the last major, or whether he might win the next major. The “Best Player Without a Major” became a serious topic of discussion, rather than just an idea some bored golf writer had one day. Now, it seems we just mark time until the next major. Play from January to March is all about who is going to qualify for the Masters. Then it’s the lead-in to the U.S. Open. Yes, The Players is in that gap, but it’s just a glorified tour stop. Then the British in July, and the season is over, because even though there’s the PGA in August, it doesn’t get much respect. Tour Championship? FedEx Cup? Are they still playing? I thought it was football season! The tour used to excite me. Now, my golf season revolves around the U.S. Open and The British Open. What about the women? The LPGA is professional golf, too. I don’t want to leave them out of this discussion, but was there ever any steam in that tour? Let us note the passing of Mason Rudolph April 18. He was, for me, one of the quintessential tour players in the 50s and 60s. Never a major winner (there’s that again), he nonetheless played in 430 PGA events and made the cut 409 times (95%), winning five times. His secret to consistent play? He always played for the fat part of the green. Earning sure money was more important to him than winning tournaments. Nothing wrong with that strategy. He was 76. A few weeks ago I said in the Wedges–Swing Speed post that I was trying an experiment that I would let you know about a little bit later, if it worked out. This just in. It didn’t work out, but I want to tell you about it anyway. I got into a spell where I couldn’t hit my driver very well. My irons were OK, but that driver just didn’t want to behave. I was browsing around a few golf forums I keep up on, and saw a thread about the Lee Trevino golf swing. What I read was quite intriguing. It’s extracted here if you want to check it out for yourself. I’ll try anything once (in golf), so I tried this swing, and then bought Trevino’s book, Groove Your Golf Swing My Way to get a fuller explanation. His swing is unique, and breaks down like this. 1. Set up 30 to 40 degrees open. 2. Take a strong grip. 3. Bring the club back along the target line, not the stance line. 4. At the top of your backswing, you are lined up to the target line. 5. Start your downswing by sliding your left hip toward the target. Do not turn yet. 6. Drop the club into a slot that heads straight along the flight line. 7. Hold off the release until well after impact. Now you can turn. Intriguing. I practiced it for a few weeks, and started hitting the ball straight, straighter, and very straight. Wow. I played nine holes with it and hit the ball straight as could be almost every time. My hook disappeared. I thought that it might be worth switching to this swing entirely, but there was one thing about it that changed my mind. It’s pretty hard on your back. I never ended a practice session without feeling my lower back had had a workout. That’s not a good sign. Not to mention, hasn’t Trevino had about three back operations? That’s not a good sign, either. I did get my driver going again, because of the two little adjustments I described to you the Two Swing Things post. But I had fun with this little detour. If there is a time when I just have to hit the ball straight, I have this swing in reserve to get the job done. Lesson: don’t be afraid to try something new. Maybe you’ll discard it just about as fast as you pick it up, but the search for a better way is a lot of the fun of golf, and you can always get something of value out of the effort. A few years ago, The Golf Channel spent the winter broadcasting the old TV golf shows. You have to have a few rounds under your belt to remember Challenge Golf, Big Three Golf, All-Star Golf, and the Wonderful World of Golf (the original show). I recorded quite a few of them. When I was growing up, I watched these shows all the time. All the biggest stars were on them, and why not? Prize money was $3,000 to the winner and $1,000 to the loser. This was in an era when a tournament win was worth about $5,000. All-Star Golf was a pretty nice day’s work, win or lose. One of the shows had Byron Nelson on it. He had long before stopped competing, but he still played a mean game of golf and had to be taken seriously when he teed it up. Get the ball in the fairway, and you’re on offense. Get the ball in the hole, and you score. It’s that simple. For the past few weeks, I’ve been working only on putting and driving. Not that the other shots aren’t important, but if you can’t hit these two, the other shots shots don’t matter. As far as driving goes, I’ve just been working with the two adjustments I talked about in my earlier post, Two Swing Things. With putting, I put a little looseness in my wrists, so the stroke isn’t so rigid and mechanical. Also, since a putt is a delicate stroke, and when we do delicate things we use our thumb and forefinger, I spend a few moments looking the putt and getting the feeling of how to hit the ball into the hole, into the thumb and forefinger of my right hand. Works great. Does Tiger Have the Yips? Short post today, but Tiger missed an awfully lot of short putts this weekend. Saturday he missed from two, four, and six feet. Yesterday on the back nine, I forget which hole, he missed from under three feet. There might have been others over the weekend I haven’t heard about. It used to be that those short putts were money. He just didn’t miss them. Period. Now, you watch because there’s the chance that he will. So I ask, does Tiger have the yips? Say what you want about his swing, but I have never seen him miss the kind of putts like he has so far this year. This weekend’s performance was painful to watch. The broadcast of the final round of every golf fan’s favorite tournament is a few hours away, as I write. Rory McIlroy starts off with a four-stroke lead. He has been exposed to fourth-round pressure at the top before (PGA, 2010). If he can cruise home with a 2-under 70, he will be awfully tough to catch. Tiger? A 70 from McIlroy means Tiger needs to shoot 63 to tie. That party is over. Playing with McIlroy, though is Angel Cabrera. This guy is an old pro, and sneaky good. He knows how to win, and he knows how to take advantage of an opponent’s slip-ups. A little stress could be added to McIlroy’s game by knowing that he is playing with the guy who can best pounce on his mistakes. Some observers say the guard is changing, but I think it has already changed. The old leaders face too much pressure from younger players who are too good. That’s the way it is in sports. What better venue to see that happening than in the first major tournament of the year? Remember the Big Five? (actually, Tiger and the Next Best Four). Phil is a footnote this week. Ernie Els tees off four hours before the leaders today and will be finished by the time they start. Vijay Singh is watching on TV, if at all, as is Retief Goosen. And Jim Furyk. Steady player, but never one of the guys you had to beat. As for Tiger, I would not be surprised if he never wins another major. That edge he had is gone. Not that he has forgotten how to play. Friday’s 66 was an amazing display of iron play. He was sticking shot after shot so close to the pin that I could have converted the birdie putts. It’s just that he can’t expect to do that every day. No one can. What won all those majors for him was his putting. Saturday, he missed putts of two, four, and six feet. His legendary ability to convert every must-make putt he faced is history. That’s enough to stick him in with the Rest of the Pack. And yet his focus is on changing his swing. Go figure. It’s time for a new set of heros to emerge, and quite frankly, it’s more than overdue. The swing is such a delicate movement that the littlest thing can throw it off. Yet, the littlest thing can bring it around, too. Lately I haven’t been able to hit the ball worth beans. Not much else I can say. It hasn’t been fun watching myself hit the ball like I picked up the game last week. Time to go to the woodshed. My backyard has a practice mat and a place to hit plastic golf balls. I must have almost a hundred of them, so I can get a lot of work done before I have to go pick them all up. Here is what I finally figured out today. One: On the backswing, my right elbow needs to start folding immediately. If I keep it straight for too long, I’m toast. On my downswing, I need to keep my right shoulder back as long as possible at the start. Two: Now, you can’t really keep the right shoulder back, because it’s attached, but you have to feel like is staying back while everything else starts moving left. Presto. High, powerful, straight shots, just like that. Confession. I didn’t discover these things today. They’re things I have known for a long time and keep forgetting about. There are a few other points I have to keep in mind, but I guess they were working just fine today. 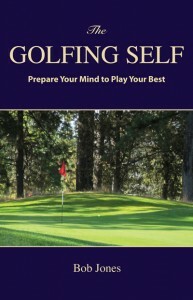 Most of the time I write golf instruction on this blog. I figure everyone else is giving your their opinion of what is happening in professional golf, and while I get into that on rare occasions, I prefer to give you something useful as well as entertaining. 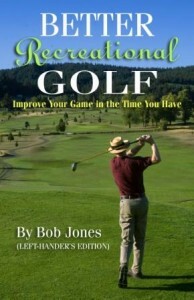 There is another web site I feed with golf instruction articles, Ezine.com. On this site you will find over 250 articles I have written on playing golf, from the swing to the short game, putting, practice, mental aspects, equipment, and strategy. So go explore the list. 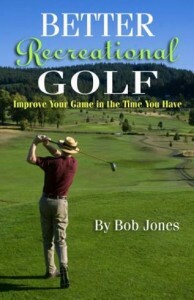 I know you’ll find something that will give you an idea that will take your golf in a new direction. Johnny Miller rankles quite a few viewers, but I find him to be entertaining and enlightening. He was especially enlightening on yesterday’s broadcast of the Shell Houston Open, talking about swing changes. He said, with regard to the professionals who change this and that looking for something better, that swing changes could be the worst thing you can do. He made a point of saying the same thing applies to amateurs, too. Instead of trying to find something better, stick with improving what you already have. Continuing this thought, I am pretty sure that you have a good swing right now if you look for it. All you need do is chip off a few rough edges, refine the things you do right, and teach yourself how to keep it all on track. You do the last part by swinging in slow motion over and over. Faults you could gloss over swinging at a normal pace will stand out clearly in the slower swing. Once it works, stick with it and keep practicing the same way so you stay in that groove. All those tips you read in golf magazines about how to hit the ball longer, or longer and straighter? Clip them out and give them to your friends. You’ll start winning more matches, guaranteed.